Are you suffering from digestive problems, constipation, low immune system, or lack of energy, and you hope to improve your health with probiotics? They are probably the healthiest and most affordable solution to these problems, as long as you understand how they work and choose the right ones. How do you choose from thousands of products promising the same benefits, without clear regulations or standards to help you? First, you take a step back and gather the information you need. We live in an age of information when you can find out everything you want to know with a screen touch. Then, you put the pieces together and find the right product for you. It is not enough to know that probiotics are beneficial bacteria native to our oral and nasal cavities, respiratory, digestive, and intestinal tracts, or vaginal area. Our body is host to approximately 500 bacteria species, all with a more or less important role in its functioning. Your health depends on the balance between these bacteria species, and supplementing the wrong strains could disturb that balance. One way to tell what bacteria strains your body needs is to start from your health problems and supplement the strains that target them. Research shows that supplementation with certain probiotic strains can increase the body’s resistance to infections, allergies, and even cancer. The most effective strains for low immunity seem to be Bifidobacterium bifidum, Bifidobacterium longum, Lactobacillus brevis, Lactobacillus rhamnosus GG, Lactobacillus gasseri, and Lactobacillus crispatus. Studies showed that these strains can reduce inflammation and prevent urinary tract infections in women, respiratory illness, and eczema in children. Lactobacillus brevis seems to be very effective against gingivitis and gum infections. IBS symptoms range from diarrhea and constipation to gas, bloating, lower abdominal pain, and nausea. The numerous studies performed showed that probiotics can relieve all of these symptoms. However, one strain will not help with all, so combinations of different strains will be necessary. The strains that seemed to provide the best results so far belong to the Lactobacillus, Bifidobacterium and Streptococcus genera. They seem to boost melatonin levels, this hormone playing an important part in digestion. Several studies showed that our weight depends on the balance of our gut flora. Thus, probiotics could help us keep our weight under control. For example, some strains lower fat and calorie absorption in the gut, reducing belly fat and weight. 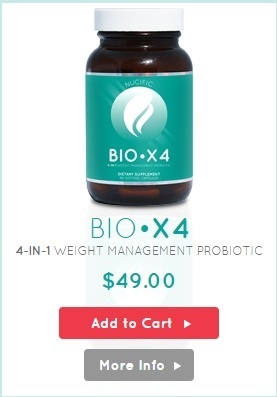 The most effective probiotic strains for weight loss seem to be Lactobacillus gasseri and Lactobacillus rhamnosus, followed closely by Bifidobacterium lactis. Of course, probiotic supplements cannot and should not replace a healthy diet and physical exercise. Some specialists claim that the gut is the second brain. It is not our concern to determine if this is true or not, but it is undeniable that the gut microbiota has an important influence on our mental health and well-being. The impact of probiotics on heart health is directly related to their ability to reduce LDL cholesterol and triglycerides, and raise HDL cholesterol. Some strains are able to lower blood pressure. The most beneficial probiotic strains for heart health are Lactobacillus acidophilus, Lactobacillus reuteri, and Bifidobacterium longum. More and more elders and adults suffer from constipation, and the latest studies suggest that probiotic supplements can treat this problem with better long-term results than over-the-counter laxatives and stool softeners. The strains that provided the best results were Bifidobacterium lactis, followed closely by Bifidobacterium animalis, Bifidobacterium longum, Streptococcus cerevisiae, Lactobacillus acidophilus, Lactobacillus plantarum, Lactobacillus reuteri, and Lactobacillus rhamnosus. Diarrhea can have numerous causes, from infections to food poisoning, gastroenteritis, and antibiotic treatments. It seems probiotics do a good job treating it, the most effective strains being Lactobacillus acidophilus, Lactobacillus rhamnosus GG, Lactobacillus bulgaricus, Bifidobacterium coagulans, and Saccharomyces boulardii. If you don’t have a particular condition, but you want to improve and maintain your general health, you can rely on probiotics too. Supplements containing Bifidobacterium bifidum could help you in this sense, as this strain boosts the production of short-chain fatty acids. Some Lactobacillus strains help prevent infections and induce a positive mood, while others improve vitamin and mineral absorption. Unfortunately, knowing what strains to benefit your health is not enough for choosing the best probiotic supplement. You need to make sure the product you buy contains enough live bacteria to cover your needs, which brings us to a term you will have to look upon all products’ labels: CFU count. What Is CFU Count and How Can It Help You Choose the Best Probiotics for You? The term “CFU” comes from “colony forming units”, and defines the live bacteria cells in each supplement serving that should be able to settle in your gut and form colonies. Thus, the higher the CFU count of the supplement you take, the sooner its health benefits will become noticeable and your gut flora balance will be restored. In theory, all you have to do in order to find an effective probiotic is to look for one with a high, if not the highest, CFU count. In practice, other aspects will impact the efficiency of the supplement as well, the most important being the viability of the live bacteria strains. During the manufacturing process, most producers include huge CFU counts to lure buyers. However, not all of them have the technology and resources to guarantee the viability of those live bacteria until expiration. Some will only guarantee the viability of the bacteria at manufacturing. This means that, by the time you buy and start taking the supplement they produced, the bacteria count could drop to half or less. That is why you should choose probiotics with a high CFU count and viability guaranteed by expiration. Did you think this was it? Think again! So far, you only know a few of the aspects to check for when reading the label, but who guarantees that the label is accurate and the product is safe? Before you pay any money on a product, you need to find out as much as possible about the manufacturer and the conditions the supplement was produced in. Before you buy a product, you need to know who made it, and, by that, we mean more than a name and a website. If the official website does not mention these details, check their terms and conditions. They should mention at least the name and address. Look these details up on Google and the Better Business Bureau website. If all you get is a P.O. box associated with other products with just as mysterious origins and a bunch of negative reviews and complaints, it should go without saying that you need to keep looking. Since the FDA does not regulate supplements, your only chance of making sure you get what the label promises are to buy from a reputable company, with tradition in the field, a team of nutritionists, doctors and chemists, and a high-end laboratory. It is your right to know exactly what you are buying, from the ingredients of the powder inside the capsules to the capsules themselves. 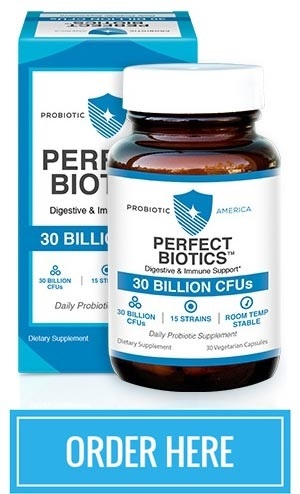 You want more than just a few active ingredients and claims that the product relies on special technology to ensure the probiotics make it to your intestines alive. To make sure you get that, check the label carefully, and make sure it has the 100% natural, allergen-free, made in America, GMP certification, and 3rd party tested seals. The last seal is actually the most important. Why? Without it, you are basically taking the manufacturer’s word on their other claims. This seal ensures you that the product was tested by an independent party as well, and this party confirmed that everything written on the label is true. Of course, all companies pay for 3rd party testing, so you can’t be 100% sure of their test results either. However, when a company goes through so much trouble to guarantee product quality and client satisfaction, they usually offer higher value than competitors who leave everything to chance. As for the other seals, they help you make sure that the supplement you buy contains natural ingredients and is free of major allergens, like soy, gluten, lactose, peanuts, fish, etc. This does not mean you should not check the ingredients list carefully, to make sure you are not allergic to any of the ingredients used. Probiotic supplements are not cheap, at least the ones that actually provide benefits aren’t. Why? 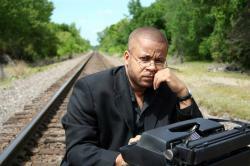 Developing them requires research, time, high-end equipment, and specialized workforce. So, if you find a product that looks too cheap to be good, you can be sure it is. But one of the main aspects that define a product’s quality and worthiness is the guarantee supporting it. Companies convinced of their products’ quality provide consistent money back guarantees. When it comes to probiotics, “consistent” means at least 60 days. These supplements take a long time to pay results, so it takes at least a month to tell if they are any good. The shipping will take several days as well, and it is always useful to have an extra couple of days, in case you forget, are out of town, or too busy to return the empty bottles for a refund. You should know from the beginning that the refunds do not cover shipping and handling. These fees should not exceed $15, but they are a risk you assume when ordering any product. Some sellers also charge a restocking fee that usually goes from $10 to $30 or is expressed as a percentage of the supplement’s price (10% – 30). You should stay away from sellers charging this fee because their only purpose is to discourage you from returning their products. When you stand to lose $40 for a product that costs $50, it’s not worth the time and trouble to spend hours on the phone with the customer service, fill in return papers, and track the shipment. Another red flag is the free trial scam, followed by auto-shipments. Many sellers of supplements and beauty products lure buyers with a 14-day free trial. Naïve buyers agree to pay for shipping and handling in order to be able to try a highly praised supplement for free, fill in their credit card info, and forget to read the small prints or the website’s terms and conditions. If they try to cancel the trial before the 14th day, the customer service representative, assuming someone answers, will tell them they can only cancel after trying the product, so they should call again on the 14th day. Some forget to call, others lose their patience while being put on hold. On the 14th day, the seller charges their card for the full price of the product, which usually revolves around $100. It seems these auto-shipping programs are very difficult to cancel, and many buyers who made the mistake of enrolling in them for various products warn that they had to cancel their credit cards to stop the payments. How to Choose the Best Probiotic Supplement in 2017? Has a fair price, no hidden fees or dubious pricing policies, and a fair and “consistent” money back guarantee. It is usually best to order supplements directly from the producer, or through the official website. However, if you find a supplement that you really like, subject to a monthly subscription, you may want to order it from 3rd party retailers like Amazon. No matter where you order your probiotic supplements from, keep in mind that they cannot and should not replace a healthy lifestyle. Try to eat healthy foods (trends indicate people will pay more attention to the quality of their food in 2017), and exercise, walk, swimming, and climb stairs whenever you have a chance. 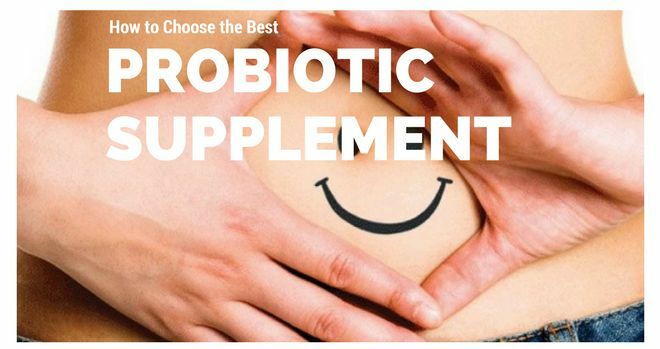 Be the first to comment on "How to Choose the Best Probiotic Supplement in 2017"